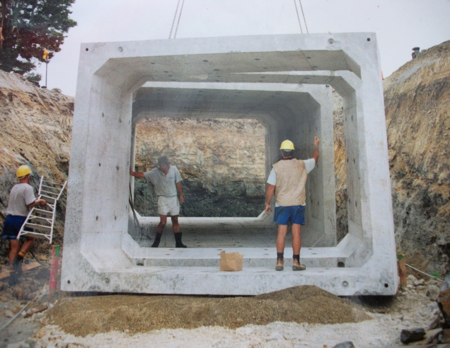 Cattlestops produced by Absolute Concrete have rounded tops for smooth travel on pneumatic tyres. They are normally sold as a pair for a 3.66m (12 foot) gateway and are long enough to prohibit stock from leaping them. The rounded tops are designed so that should stock be tempted to cross they won’t come to serious harm. 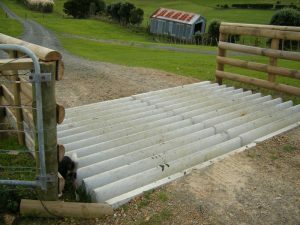 Cattlestops are sited lengthways on your prepared site, normally as a pair but also in threes or fours as your entranceway permits. 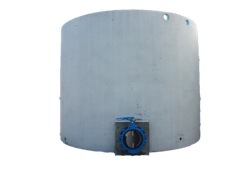 They can be usually set in the ground flush but we have found that they are better with earth ramped up to them as this prevents stones and gravel washing into to the unit. 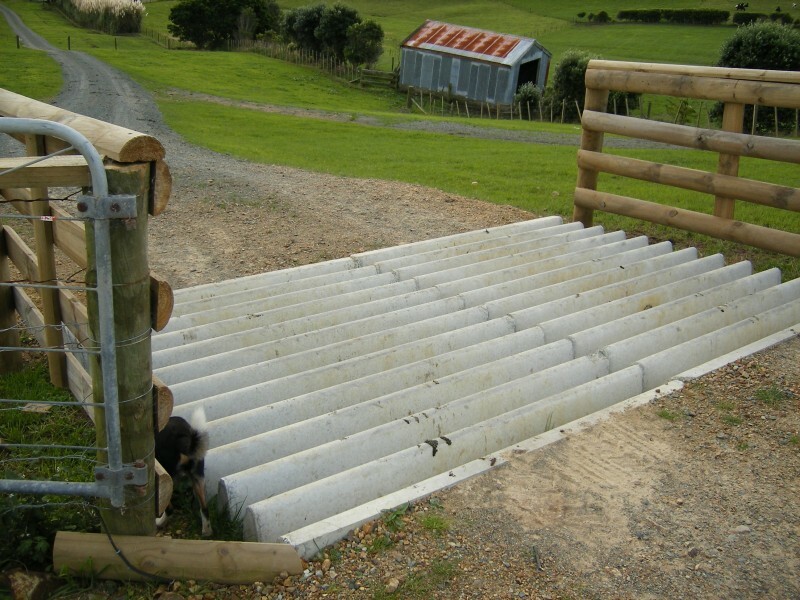 Remember that you must include a gate in your roadway setup to allow for stock movement or steel tracked vehicles which will damage the concrete finish. 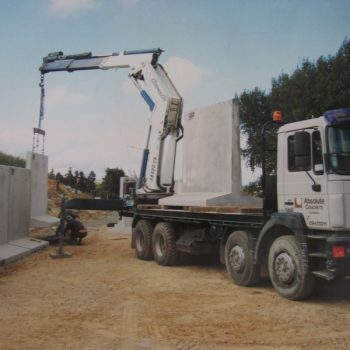 Cattlestops are fitted with are fitted with strategically placed lifting anchors cast into the concrete, to allow for safe off-loading,and efficient and economical installation. Each unit is manufactured with a aesthetically pleasing smooth rounded tops.